Rob Tognoni Wednesday, 20/06/2018, Haven Club, The Bullingdon, Oxford . Click here for more info. Rob Tognoni Thursday, 21/06/2018, Bluefunk Club, Poynton, Cheshire . Click here for more info. Rob Tognoni Friday, 22/06/2018, Edinburgh Blues Club, Voodoo Rooms, 19a West Register St, Scotland 0131 5567060. Click here for more info. Rob Tognoni Saturday, 23/06/2018, The Doll's House, Abertillery, Blaenau Gwent 01495 213300. Click here for more info. Rob Tognoni Thursday, 08/11/2018, Rocksound, Barcelona, Spain . Click here for more info. Rob Tognoni Friday, 09/11/2018, La Gramola, Orihuelala, Spain . Click here for more info. Rob Tognoni Saturday, 10/11/2018, Casa de Cultura Jose Saramago, Albacete, Spain . Rog Tognoni Wednesday, 14/11/2018, La Guta, Madrid, Spain . Cick here for more info. Rog Tognoni Thursday, 15/11/2018, Los Picos Whisky Bar, Lierganes, Spain . Click here for more info. Rob Tognoni Friday, 16/11/2018, Blues Festival at the Teatro Principal, Ourense, Spain . Click here for more info. Rob Tognoni Tuesday, 22/01/2019, Wrotham Arms, Ramsgate Road, Broadstairs, Kent . Click here for more info. Rob Tognoni Wednesday, 23/01/2019, Malt Shovel Tavern, Bridge St, Northampton . Click here for more info. Rob Tognoni Friday, 25/01/2019, New Crawdaddy Club, More info to follow, Essex . Click here for more info. Rob Tognoni Saturday, 28/01/2019, Platform Tavern, Town Quay, Southampton . Click here more info. Rob Tognoni Sunday, 27/01/2019, Giants of Rock, Butlins, Minehead . Click here for more info. Rob Tognoni Thursday, 22/08/2019, Platform Tavern, Town Quay, Southampton . Click here more info. Rob Tognoni Friday, 23/08/2018, Norden Farm Centre for the Arts, Altwood Road, Maidenhead, Berks 01628 788997. Click here for more info. 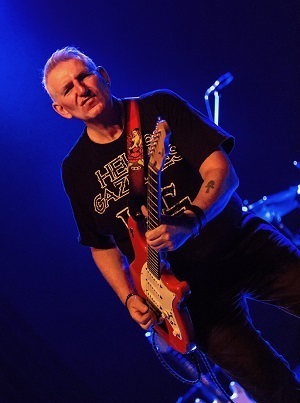 Rob Tognoni Saturday, 24/08/2019, Nantwich Rory Gallagher Festival, Railway Hotel, Nantwich . Click here for more info. Movinmusic is pleased to confirm that it is now taking offers for November 2018 and January 2019. Interested venue owners & promoters can contact us about his availability via e-mail or 0044 (0)1209 860067.